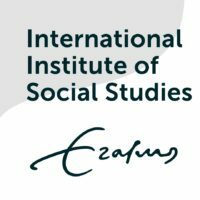 The international Institute of Social Studies (ISS) is an international graduate school of policy-oriented critical social science. It brings together students and teachers from the Global South and North in a European environment. Key to the ISS philosophy and practice is the wish to contribute to achieving social justice and equity on a global level. The highly diverse international community brings together people, ideas and insights in a multi-disciplinary setting which promotes critical thinking and conducts innovative research into fundamental social problems. ISS in situated in The Hague and is part of the Erasmus University Rotterdam (EUR).